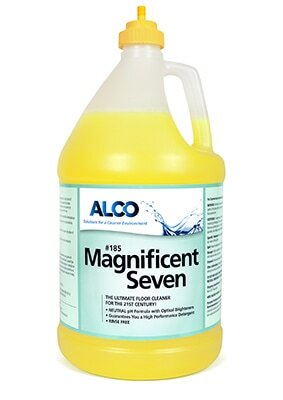 Alco Magnificent 7 Closed Loop - Alco-Chem, Inc. Neutral, no rinse floor cleaner concentrate. The ultimate in neutral cleaners. Designed for daily mopping, leaves floors shiny and bright. No haze or residue. Great lemon fragrance.